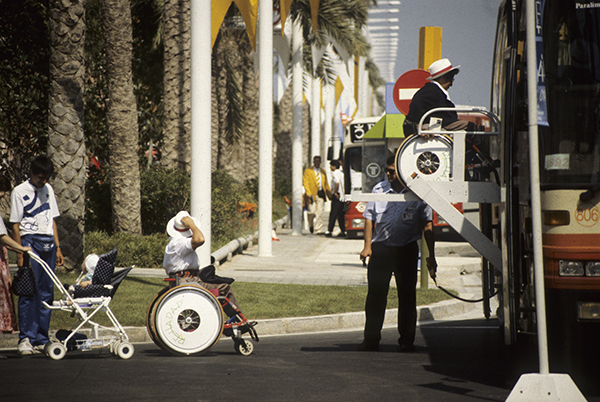 In order to ensure the success of the Paralympic enterprise, more than 8.000 volunteers were selected from amongst associations, federations and sports clubs, secondary schools and universities, associations for the disabled, etc. Very often, their tasks were similar to those carried out during the Olympic Games. Amongst the body of Paralympic volunteers the task of one group, the hosts, was that of attending to the needs of the Paralympic Family. According to the various specific required to give logistic support, provide information to the athletes about the city or the Games, or accompany them to different places. 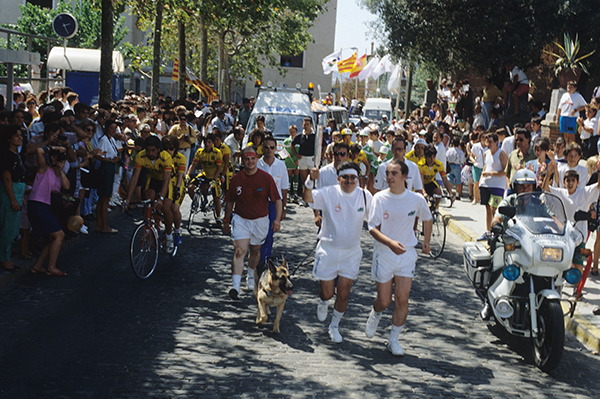 Other tasks, however, made more specific demands of the Paralympic volunteers. These included the tasks to be perfomed at the Prothesis Repair Centre or at the Classification Centre. 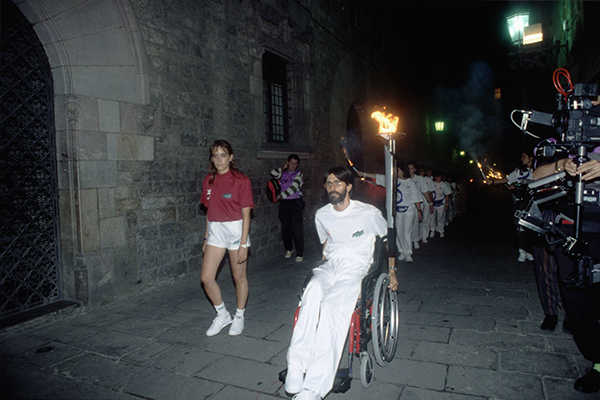 Besides this, volunteers at the Barcelona’92 IX Paralympic Games also fulfilled a very important social function: that of contributing to the diffusion of personal values and attitudes based on normal, natural behaviour towards persons with physical or sensorial disabilities. 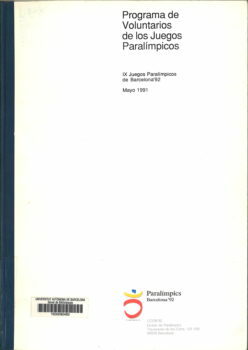 Programa de voluntarios de los Juegos Paralímpicos : IX Juegos Paralímpicos Barcelona’92 : Mayo 1991 / COOB’92. Divisió de Paralímpics. 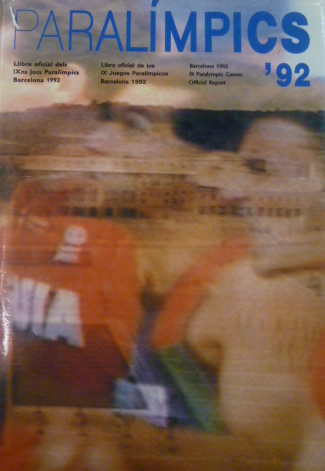 [Barcelona : COOB’92], 1991. 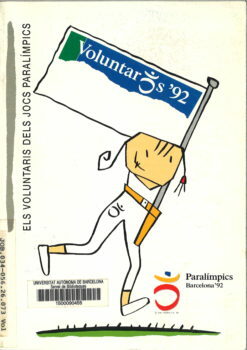 Els Voluntaris del Jocs Paralímpics = Los Voluntarios de los Juegos Paralímpicos / COOB’92. Divisió de Paralímpics. Barcelona : COOB’92, D.L. 1991.